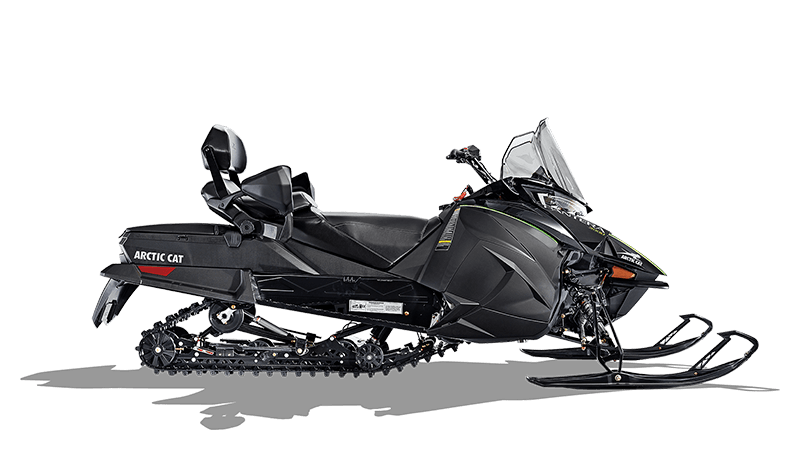 ARCTIC RACE FRONT SUSPENSION WITH ARCTIC CAT GAS IFP SHOCKS: The Arctic Race front suspension's geometry was developed through racing. Our unique wide A-arm spacing complements the chassis design, which allows us to maintain a tighter suspension. Arctic Cat gas IFP shocks feature a hard-anodized aluminum body, 0.5 in. shaft, aluminum internal floating piston and high-quality seals and ice scrapers. For added strength, the eyelet on the shaft end is forged, replacing the welded design. SLIDE-ACTION REAR SUSPENSION WITH ARCTIC CAT IFP SHOCKS: Our SLIDE-ACTION Rear Suspension incorporates a U-shaped front-arm slot that fits over a shaft bolted across the tunnel. 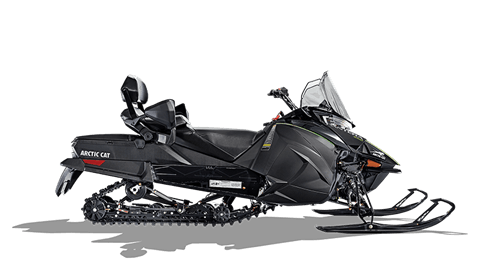 This creates a half-inch of sliding movement, which keeps the front arm from torque locking and helps keep the skis planted during acceleration. 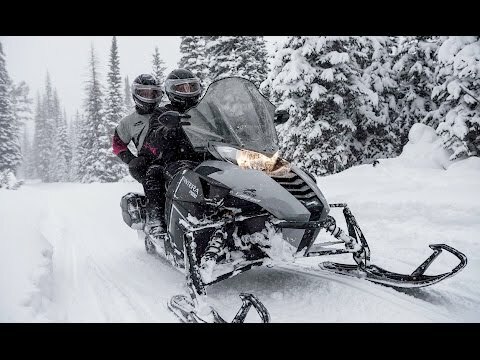 Add our Arctic Cat (IFP) shocks and you've got comfort and confidence even in the bumpiest conditions. ELECTRIC START: This is just the thing for consistent, reliable starting. A simple turn of the key to get up and running. ADJUSTABLE BACKREST: Looking for more comfort on long rides? This easy-to-adjust backrest allow you to dial in the just right amount of support. PROTOUR - 6 SKIS: 6 in. wide plastic skis deliver excellent handling on hard-pack conditions and great flotation in loose snow. A stiffer and deeper keel provides more positive cornering in all conditions. PASSENGER WIND DEFLECTORS: Cold wind and hands don't get along. These will help deflect that wind to keep your passenger's hands nice and warm. REAR COMPARTMENT STORAGE: Whether it's water or gloves, here's a good place to store it. The compartment also includes a belt holder so your spare belt is always secure and out of the way. 14 in. HIGH-HEIGHT WINDSHIELD WITH MIRRORS: The extra-high windshield tames the wind out in the great white open, while the mirrors make backing up easy as ever. REAR ACCESSORY OUTLET: Conveniently placed to easily power up whatever you need. VISOR PLUG-INS: If you've got a heated helmet visor, we give you the outlets you need to plug in and get rid of that visor fog. Estimated dry - 608 lb.